This Festival of Learning 2014 session was led by prize-winning textiles artist Gary Hayton. 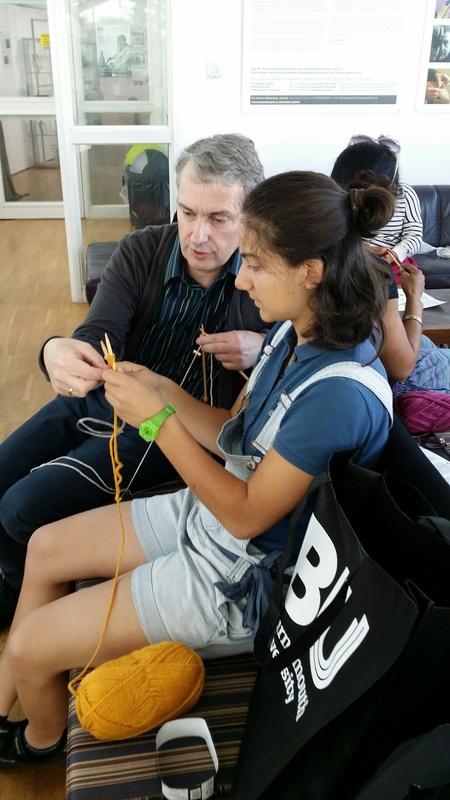 The picture below shows Gary helping a real beginner at knitting (someone who had never knitted before). 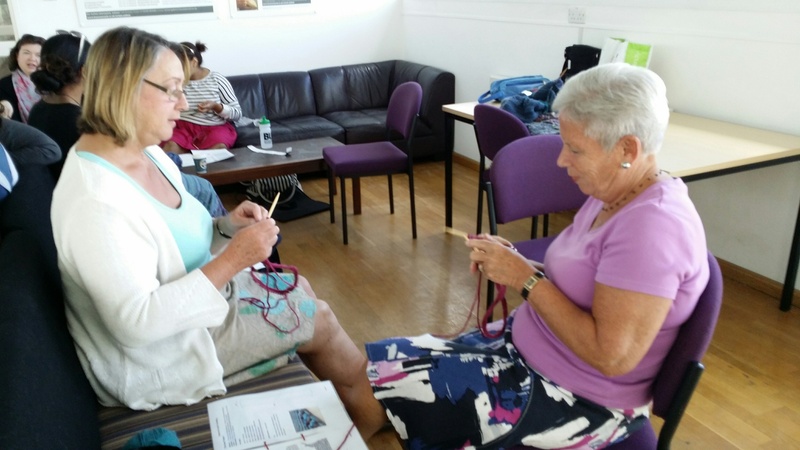 She learnt how to cast on and how to master the basic knitting stitch to knit a sideways scarf. The session was fun and chatty. We all had a good ‘yarn’ whilst busy knitting away. Participants all got a goody bag containing enough wool to make their own scarves. Find out about other upcoming BU events.